Antonio Conte maintained honesty is the best policy after standing by his assertion that Chelsea are out of the Premier League title race. The reigning champions' boss had declared at the weekend that his third-placed Blues side were no longer in the running, with runaway leaders Manchester City opening up a 14-point gap over them after beating cross-city rivals United on Sunday. 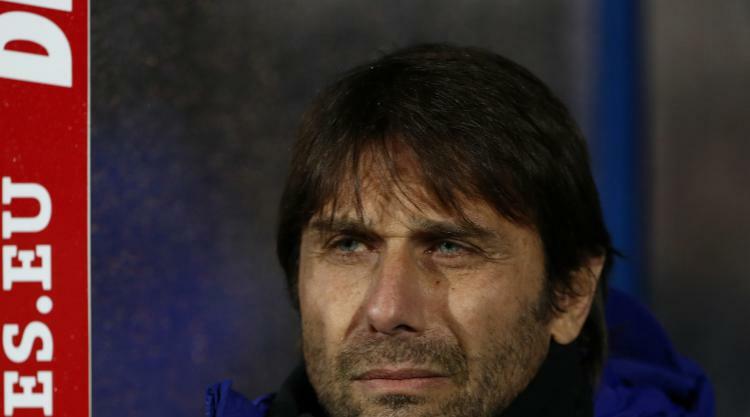 A 3-1 Chelsea victory at Huddersfield two days later was the seventh win in nine league fixtures for Conte's side, yet the Italian insisted his frank assessment about their title prospects was merely a dose of realism given City's scintillating form. "When you tell the truth, this is the truth," Conte said. "We had 14 points less than Manchester City. In 16 games they won 15 and drew one. In 17 games we lost four. When you have a competitor like City and every game they are winning, it is very difficult to think you can fight for the title because (you can see) 'a negative, a positive'...this is bulls**t, bulls**t.
"We must be realistic and tell the truth. I prefer to tell the truth than a good lie. I am like this and sometimes I can be too honest but I like to speak very honestly with my players and with our fans also. "But it doesn't mean we don't want to try to catch them but we have to hope they have a big, big slip and for us then to win every game in this league. And it is very difficult in this league. You have to put in 120 per cent otherwise you risk dropping points." Conte's players responded to their manager's weekend comments by easing to three points against Huddersfield in Yorkshire, where both Manchester clubs had previously encountered problems. United lost to the Terriers in October while last month City fell behind before claiming an 84th-minute winner. However, Conte's men scored three times inside 50 minutes to saunter to victory. "To win this way is very important, it improves our confidence especially after a defeat," added Conte. "In the last nine games Chelsea won seven, drew one away at Liverpool and lost at West Ham. "We are on a good path in the league but there is a team in this moment, it's very difficult to stop them. Otherwise we're there with United, Liverpool, Tottenham and Arsenal to fight for the title." Huddersfield boss David Wagner could see shades of the performances against United and City from his team until they gifted Chelsea two first-half goals. "The biggest difference was that Chelsea scored the first goal and then before half-time the second one," he said. "Before we conceded the first one it looked a little like when we played against Manchester United or Man City. We kept them away from goal and they didn't have a lot of clear-cut chances before the first goal. "We gave two easy goals away and this wasn't the case against United or City."